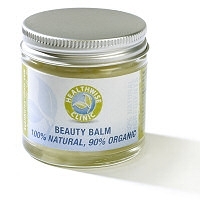 Organic ingredients Certified by the Soil Association. 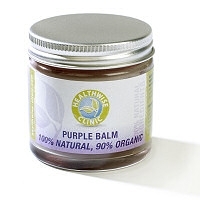 A perfect balm for clearing redness and heat from the skin. With a selection of plant ingredients traditionally used for ‘clearing heat’ (inflammation) from the skin this balm has many applications. 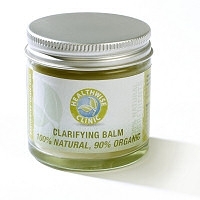 It has been created to be used on any skin disorder where there is redness. This includes psoriasis, sunburn, heat rash, nappy rash, insect bites and minor burns. The balance of ‘heat clearing’* plant extracts with nourishing organic sesame oil and beeswax makes this perfect for helping hot, red, painful skin that needs moistening at the same time. 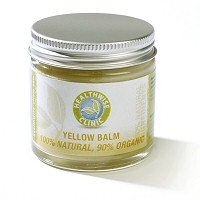 Due to this effect it may also be helpful for skin problems such as eczema and acne that are red in colour. It contains plant extracts of: Indigo root which cools the skin and helps it to clear rashes; Bletilla root which heals damaged skin and Groomwell root which also clears heat from the skin.